This tip was written for Windows 10 Fall Creators Update although this fix will work on other versions of Windows 10 as well. While working on computers with our Cloudeight Direct Computer Care remote computer repair service, I’ve notice several times where open programs would obscure the taskbar. We would go through a complicated fix to keep the taskbar on top. But today, we discovered a super easy way of fixing this annoying problem – and you can do fix it in less than 1 minutes. 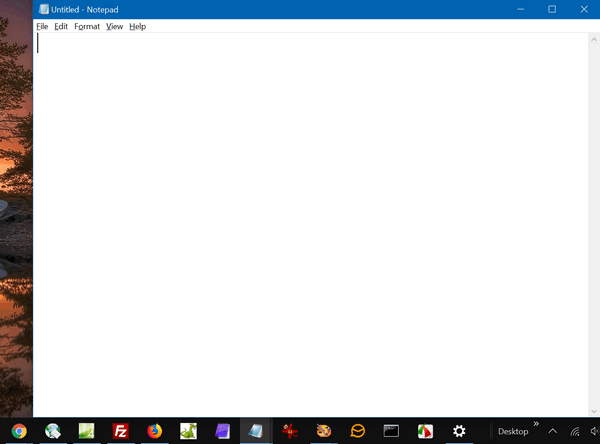 As you can see, my taskbar is partially covered by an open Notepad window. If you ever encounter this on your PC, here’s the easy fix. 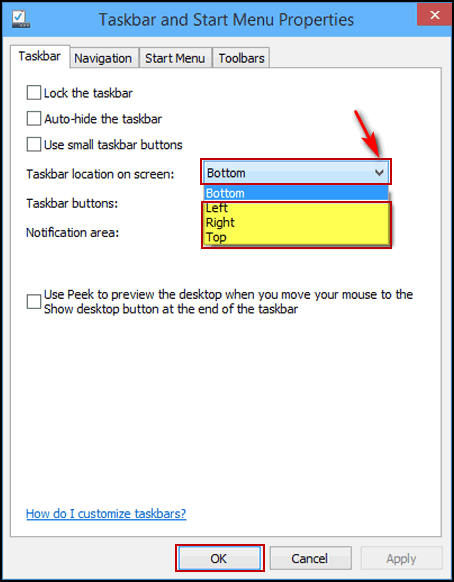 Right-click on the taskbar (the part you can see) and click “Taskbar settings”. Scroll down until you see “Taskbar location on screen”. 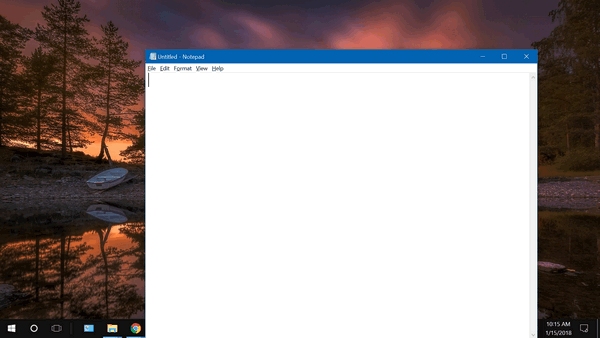 Mine is set to “Bottom” because I like the taskbar at the bottom – I’m a Windows traditionalist. Click the down arrow at the right (see above). Choose a different taskbar location from the current from the options on the left side. After the taskbar changes location and you verify that it has, then change the setting back to your original setting. I switched mine to “Top” and once it move to the top, I immediately switched it back to how I like it at the “Bottom” of my screen. After doing this, everything was back to normal and program windows no longer cover my taskbar. Sometimes, the best fixes are the simplest fixes. Next to “Taskbar location on screen” choose any location other than your current location. Click OK. As soon as your taskbar moves to the new position, change it back to your desired location and click Apply/OK. Windows 7 users: This tip should work for you as well. That would have been a program you installed, not a Windows option. There are literally dozens of programs that add toolbars and menu bars to Windows. I’m sorry I can’t tell you which one you had. I hate to repeat myself but, I’ve said it before and now I’ll say it again. You are the best! This is a case where I don’t mind being told what to do. Sorry. I’ve been married for 40 years and just had to say that. I recently encountered a variant of a ransomware virus (you may know it as the ‘FBI uKash’ virus) which covered the entire screen, including the Taskbar, with its notice that a fine had to be paid, via the UKash system, to regain access to the computer. I finally found a way to restart the Windows 10 PC by using the power switch on the computer case to turn it off. Once this was achieved I restarted the PC while holding down the Shift key to boot into Safe Mode. Once in Safe Mode I opened a Command Prompt window and used your tip (rstrui.exe) to access System Restore, which worked its magic and ‘removed’ the virus! Your advice on other methods of restarting the computer in safe mode would be much appreciated.